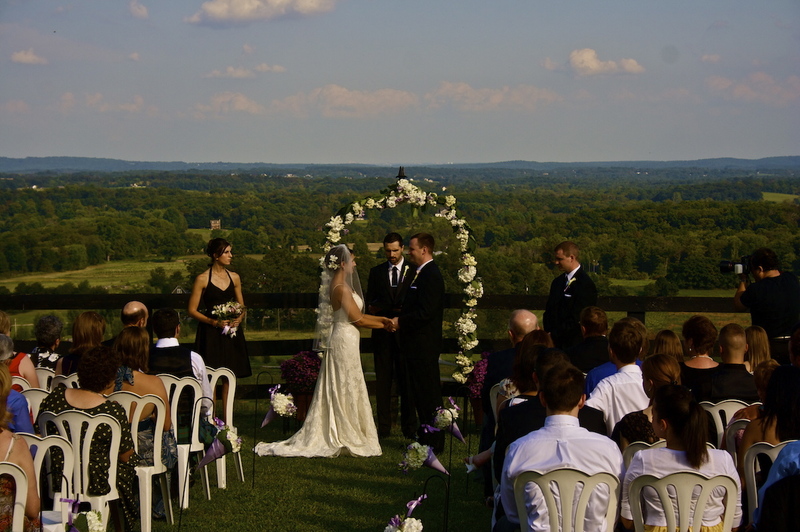 Wedded bliss has a huge economic impact in Loudoun County. Between 2013 and 2016, the wedding industry in Loudoun grew from $42 million to more than $118 million contributed to the local economy, according to a new study conducted by George Washington University and Visit Loudoun. In the process, weddings alone contributed nearly $7.1 million to state and local taxes last year. Visit Loudoun actively promotes 55 wedding venues that range from golf courses and resorts to “rustic chic” barns, breweries and wineries. A healthy variety of businesses such as hotels, resorts, bed and breakfasts, and room-sharing options help facilitate guests for ceremonies in all corners of the county. The 2013 study sought to capture only the cost of hotel rooms, venue rentals and catering, and was admittedly a conservative estimate. A 2015 Wedding Report study reported that the average cost of the county’s 2,054 weddings was $42,568, or approximately $87 million. However, that number is based on money spent on a Loudoun wedding, even though not all of that money was spent in Loudoun County. This 2016 GWU study considered everything, including the additional ancillary costs associated with bringing large groups together, such as money spent on gas and rental cars. All dollars counted were spent in the county. According to Visit Loudoun, which provides free research and lead services for couples in search of venues and amenities, the average venue in the county hosts between 25-50 wedding events each year. Most venues can host more than 200 attendees using outdoor seating, while the average can hold 100-150 people. Visit Loudoun reports that venue fees can range from $400 to $14,000, but the average venue charges less than $6,000. Weddings in the county aren’t just a tourist attraction tool either. According to a 2014 study by NerdWallet, Inc., Loudoun’s mix of high-income earners and reasonable wedding prices made it the most affordable county in the U.S. for locals to get married. With an average household income of $122,068 and an average all-in wedding cost of $51,281 at the time reported on by NerdWallet, couples paid only 42 percent of their annual earnings here in Loudoun (as compared to the least-affordable place for a wedding, where couples spent more than 160 percent of their income on their wedding).